Maintenance of temperature control is vital when transporting food, pharmaceutical and medical supplies with the combination of stringent and sophisticated auditing and reporting systems and increasing biotechnological advances, the need for the protection of thermally unstable products is paramount. To ensure compliance with the latest regulations, our fleet is fitted with two types of temperature data capture equipment. The till receipt type Trans scan can be given directly to customer, and digital temperature loggers can be downloaded at any PC if required. This data capture equipment is retrospective, therefore, our drivers are trained to check and document on the 'K2B day sheets' the in-cab digital display, which give us an immediate proactive approach to any issues. 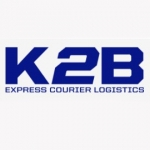 All our vetted drivers have completed the K2B in-house temperature controlled induction training covering product handling and hygiene training, so that you can be confident that your product will reach your client in perfect condition – remember over 80% of your total customers contact is by your delivery driver – so you should not leave it up to just anyone.